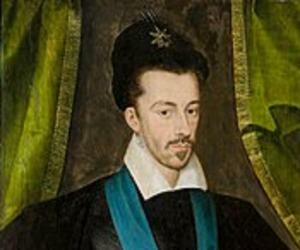 Henry III of France was the last King of France of the House of Valois. Check out this biography to know about his birthday, childhood, family life, achievements and fun facts about him. Henry III of France was the last King of France of the House of Valois. He ruled as the King of the Polish-Lithuanian Commonwealth from 1573 to 1575 and the King of France from 1574 until his death. Henry III was the fourth son of his father King Henry II of France and was not expected to ascend to the French throne. In 1573, he was chosen as the King/Grand Duke of the Polish-Lithuanian Commonwealth. He ruled there for two years, during which the Henrician Articles were signed into the law. 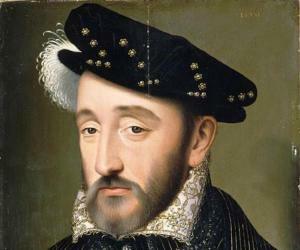 When he was 22 years old, his only surviving older brother and King of France Charles IX died of tuberculosis without any legitimate male issue and Henry III subsequently abdicated the Polish-Lithuanian throne to become the new French king. During this period, France was in the throes of the Wars of Religion. Henry III did not particularly have control over his kingdom as his authority was constantly disregarded by the violent factions funded by foreign powers, such as the Catholic League, the Protestant Huguenots, and the Malcontents. After the death of his only living brother, the childless Henry III was left without an heir. The Wars of Religion subsequently transitioned into a succession conflict, the War of the Three Henrys. Henry III was assassinated in 1589 by a Catholic fanatic, which effectively ended the rule of the House of Valois in France. Henry III was born Alexandre Édouard de France on September 19, 1551, at the royal Château de Fontainebleau in Paris, France, to King Henry II and Catherine de' Medici. He had nine legitimate siblings: Francis II of France; Elisabeth, Queen of Spain; Claude, Duchess of Lorraine; Louis, Duke of Orléans; Charles IX of France; Margaret, Queen of France; Francis, Duke of Anjou; Victoria of Valois; and Joan of Valois. He also had three illegitimate siblings through his father: Diane, duchesse d'Angoulême, Henri d'Angoulême, and Henri de Saint-Rémy. In 1560, his father bestowed upon him the titles of Duke of Angoulême and Duke of Orléans and in 1566, the title of Duke of Anjou. During his youth, he received his mother’s favour far more than any of his siblings. She called him chers yeux ("precious eyes") and even when he was an adult, he continued to receive his mother’s lavished fondness and attention. This seemed to have irked his older brother, Charles, who also detested him because of his better health. Henry III was generally regarded the best son of his parents. He did not like to indulge in traditional Valois pastimes of hunting and physical exercises like his father and brothers. Instead, deeply influenced by his mother’s Italian background, Henry III became interested in reading and art. He was also a gifted fencer and often spent time enjoying the sport. While he was still a young adult, he became inclined towards Protestantism as a method of rebelling against his parents. He began referring to himself as “a little Huguenot”, after the ethnoreligious group of French Protestants who follow the Reformed tradition. He would often be absent from the Mass and began reciting Protestant psalms to his sister Margaret while urging her to change her religion and throw her Book of Hours into the fire. Furthermore, he was recorded to have bitten off a nose of a statue of Saint Paul. Eventually, his mother had to intervene and state in no uncertain terms that she would not entertain such behaviour from any of her children. Henry III mellowed down after this and never again displayed any Protestant tendencies. In fact, he remained a nominal Roman Catholic for the rest of his life. Henry III was actively involved in the Wars of Religion even before he became a king. 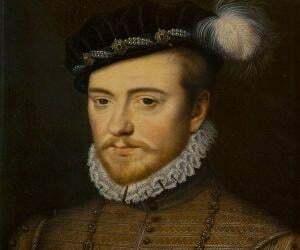 He was part of the royal army and participated in the Battle of Jarnac (March 1569) and in the Battle of Moncontour (October 1569), both of which resulted in the royal victories over the Huguenots. As the Duke of Anjou, Henry III orchestrated the St. Bartholomew's Day Massacre of 1572. He also served as the leader of the royal forces during the siege of La Rochelle (1572-73). On July 7, 1572, the Polish ruler Sigismund II Augustus died and subsequently, Henry III was suggested as a potential ruler to Polish nobility by French diplomat Jean de Monluc. An election was held on May 16, 1573, and Henry III was picked as the first elected monarch of the Polish-Lithuanian Commonwealth. One stipulation that he had to abide by to be the king of Poland was to sign the Pacta conventa and the Henrician Articles, effectively swearing to uphold religious tolerance in the Polish-Lithuanian Commonwealth. Though he was not fond of the restrictions his new duties imposed, he signed the documents and on 13 September 1573, at a ceremony before the Parlement of Paris, he received the "certificate of election to the throne of Poland-Lithuania" from the Polish delegation. He arrived in Poland in January 1574 and was crowned in Kraków on 21 February. Poland and its people gave the young king a cultural shock that he would never forget. He and his friends were surprised by several Polish cultural practices and disheartened by the abject poverty that persisted in the Polish countryside. The Polish people, in turn, wondered whether all French worried about their attire as much as the king did. 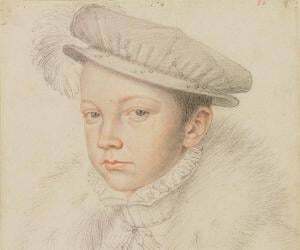 Charles IX died of tuberculosis on May 30, 1574, and he did not have any legitimate male child with his wife, Elisabeth of Austria. When Henry heard of his brother’s passing, he departed for France, leaving Poland in a constitutional crisis. Henry III’s coronation took place on February 13, 1575, at Reims Cathedral. A year later, he signed the Edict of Beaulieu, granting the Huguenots the right of public worship for their religion. While this action earned him supporters among the Huguenots, it also garnered him new enemies among the Catholics. Henry I, Duke of Guise, who was a Catholic activist, established the Catholic League in response. 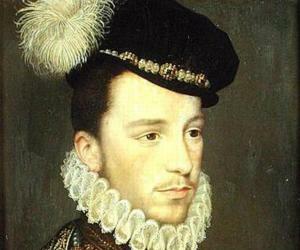 His younger brother Francis died on June 10, 1584 and as Henry III did not have any children or legitimate brothers left, under the Salic law, Henry of Navarre, a descendant of Louis IX (Saint Louis), a Protestant and husband of Henry III’s sister, Margaret of Valois, became his heir presumptive. The on-going Wars of Religion gradually was turning into the War of the Three Henrys as Henry I, Duke of Guise forced Henry III to declare an edict that checked Protestantism and nullified Henry of Navarre's right to the French throne. On May 12, 1588, Henry I, Duke of Guise entered Paris amidst much spontaneous public uprising against the king known as the Day of the Barricades. He was hailed as the hero of the staunchly Catholic city whereas the moderate, secular, hesitant government of Henry III was viewed as the oppressors. Henry III was forced to flee the city. However, after the Spanish Armada was defeated by Queen Elizabeth I’s England in 1588, Henry III felt the threat of foreign support to the Catholic League had decreased. On December 23, 1588, Henry III called a meeting between him and Duke of Guise at the Château de Blois. The duke’s brother, Louis II, Cardinal of Guise, was already there. He was informed that the king was waiting for him in the private room adjoining the royal bedroom. Once he got there, both he and his brother were killed by royal guardsmen. Henry also imprisoned the duke’s son. The murders caused massive outrage in the city, where the duke was incredibly well-liked. The king was charged with criminal offences by the Parlement and he had no choice but to reach out to his opportunistic heir, Henry of Navarre. In response to the Parlement in Paris which was now controlled by the Catholic League, Henry III set up his own parliament at Tours in June 1589. In 1570, the possibility of Henry III courting Queen Elizabeth I of England was considered. He was 18 or 19 at the time and she was almost 37. Elizabeth herself initiated them, although the historians regard this as a way of arousing the concern of Spain than any serious interest. Henry III was not particularly fond of the prospect and called the English queen a putain publique (public whore). Ultimately, nothing resulted from these discussions. Henry III became the king, and his younger brother Francis replaced him as Elizabeth’s suitor. Sometime before 1574, Henry became interested in Marie of Cleves, who was known for her beauty. However, she had been already married to Henri I de Bourbon, prince de Condé. After he became the king, Henry III sought to procure Marie a divorce from her husband so he could marry her himself. His mother vehemently objected to this; her own choice was Princess Elizabeth of Sweden. 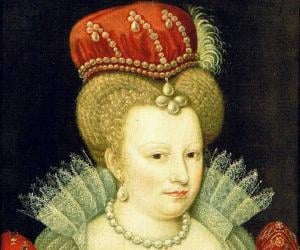 However, Marie died from lung infection in 1574 before Henry could implement his plan. On February 15, 1575, two days after his coronation, Henry III married Louise of Lorraine, the daughter of Nicholas of Lorraine, Duke of Mercœur, and Countess Marguerite d'Egmont. Louise’s mother had died when she was a child and she was subsequently raised by her father and stepmother, Catherine of Lorraine. She had an unhappy childhood, without being loved by either her father or stepmother. Henry III first saw Louise sometime after he became the King of Poland and was stunned by how closely she resembled Marie. After the Princess of Condé died, Henry spent months in deep mourning. Eventually, going against his mother’s wishes, he decided to marry Louise and sent his councillor and alleged lover, Cheverney, to Louise and her family to make them aware of his intention. Despite the initial misgivings, Catherine would come to love her unpretentious, pious, and calm daughter-in-law. Louise virtually worshipped her husband, who, in turn, was always attentive of her. The union did not produce any children, causing much grief to both Henry III and Louise. She reportedly suffered a miscarriage in 1576 but no historical proof exists of this. There were speculations in 1584 that Henry was looking to divorce her but this proved to be unfounded. Contemporary sources speculated that he had sexual relationships with several members of his inner circle in the French court. This inner circle of the king’s favourite courtiers was known as the mignons. While it cannot be denied that the king had intense relationships with them, many modern historians disagree. They point out that Henry III had several mistresses and many of them were quite well known whereas none of his male lovers was ever identified. According to some historians, Henry III had plenty of enemies and it served their purpose to have the king portrayed as homosexual. They took advantage of his distaste for war and hunting to portray him as effeminate and disregard his standing with the French public. The enemies’ personal attacks on the king intensified further because of what they considered the king’s inability to produce an heir. Homosexuality at the time was considered the ultimate devilish vice. It all culminated into a seething hatred among the deeply religious French people for their king. Furthermore, the Catholic Church wanted to remove the tolerant king in favour of one of their own, Cardinal Charles de Bourbon. Henry III understood the importance of taking back Paris. He led his forces towards the city and on August 1, 1589, was staying at Saint-Cloud. A young fanatical Dominican friar named Jacques Clément sought to see the king saying that he had important documents to show him. Clément handed the king a bundle of papers and told him that he had an important and secret message to deliver to him. Henry III ordered his guards to step back for privacy and Clément, sensing his opportunity, stabbed Henry III in his abdomen. The guards killed Clément immediately. The king’s wound did not initially look fatal but he called all his officers around him and instructed them to be loyal to his successor Henry of Navarre as they had been to him. Henry III’s death was celebrated in Paris. Some even dubbed the assassination as an act of God. He was buried at the Saint Denis Basilica. After his death, Louise, now known as “The White Queen” because of her white mourning attire, appealed to Henry IV to revoke her husband’s excommunication, which had been imposed after the murder of Cardinal de Guise. Louise died on January 29, 1601, and was initially interred at the Convent of the Capuchins. However, in 1817, her remains were moved to be buried alongside her husband. The character of Henry III has appeared in projects spanning films, TV shows, plays, novels, and poetry, including Alexandre Dumas’ famous novel, ‘La Reine Margot’ (1845).